The Miss Bum Bum 2012 Winner! I’m with Burnett. 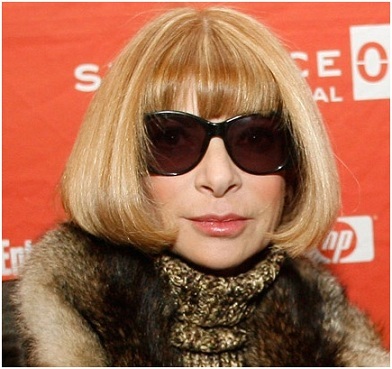 If Anna Wintour wants so badly to be a diplomat, let’s make her our next ambassador to Libya. What’s with all of these image-polishing TV spots from BP? Shouldn’t the British oil giant be spending that advertising money on gulf cleanup and legal settlements? 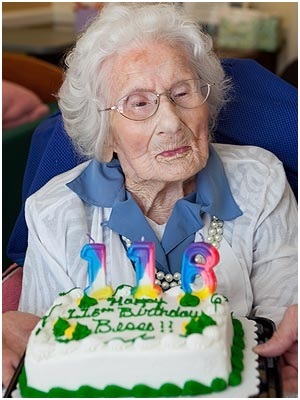 You are thrilled to hear that the world’s oldest woman (Besse Cooper, below) finally kicked the bucket. You are not happy that she died, you are happy because she was 116. Since you are not yet 58, that means you are not yet middle-aged. Right? You create a blog that consists of personal gripes. Like this one. 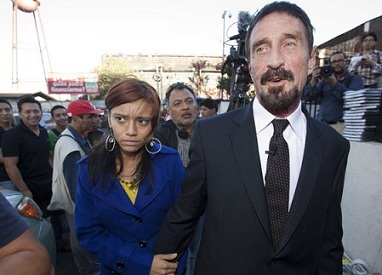 I have no idea if software honcho-turned-fugitive John McAfee is guilty of any crimes, but I do know he is high on my list of annoying jerks. This is your life in America? Please. Until recently, outside of the business world no one had heard of you in America. On the other hand, I was familiar with your namesake product. Last year, I inadvertently downloaded McAfee software — and my computer was promptly infected with bugs. The world held its breath last month, anxiously awaiting the results of the U.S. presidential election. Balderdash. Most of us were holding our breath this month, anxiously awaiting the results of Brazil’s Miss Bum Bum 2012 contest. Here is a picture of this year’s winner, Carine Felizardo, courtesy of The Huffington Post. I think we can all agree that she has a lovely smile.